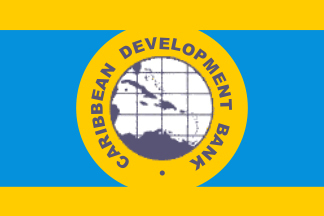 BRIDGETOWN, Barbados –- The Caribbean Development Bank (CDB) in partnership with the Inter-American Development Bank (IDB) has mobilised US $85.6 million to increase the Region’s energy security through geothermal energy development. On Dec. 13, CDB’s Board of Directors approved acceptance of further financing under the Sustainable Energy Facility (SEF) for the Eastern Caribbean from IDB, with resources coming from the Green Climate Fund (GCF) and the Government of the Republic of Italy. SEF is part of CDB’s GeoSmart Initiative, which aims to reduce the financial, technical and institutional barriers to geothermal energy development in five Eastern Caribbean states – Dominica, Grenada, St. Kitts and Nevis, Saint Lucia and St. Vincent and the Grenadines. The programme also helps governments build capacity and strengthen institutions so they can be better equipped to implement and manage geothermal energy initiatives. The pool of existing resources will expand by $85.6 million under the SEF Programme with $80 million coming from GCF and $5.6 million from the Government of the Republic of Italy. It will go towards financing the often cost-intensive stages of development from the pre-feasibility studies to exploration drilling, and eventually field and plant development such as developing wells and building power plants, sub-stations and transmission lines. Monica La Bennett, Vice-President (Operations) welcomed the new financing, saying it would help to advance the energy transformation and economic development of the beneficiary countries. “The reality for these countries is that they have small and isolated electricity markets which lack scale, and are heavily dependent on diesel fuel for power generation. This has made the cost of electricity higher than the global average,” she said. La Bennett noted that some of the countries, given their volcanic origins, have large potential for geothermal energy, which could provide lower-cost constant power. However, the risks that form barriers to exploration and development are often high. The approved package of funding consists of investment and technical grant, contingent grant, as well as concessional loan resources, and will help the countries overcome the barriers to geothermal energy development. The GeoSmart Initiative contributes to achieving the objectives of CDB’s 2015-2019 Strategic Plan, in which energy security is a cross-cutting theme.